Turnkey’s peer-to-peer clients describe Facebook fundraisers as a blessing and a curse. The money is great. It just shows up, which is both amazing and, well, great. Last year, Facebook fundraisers put over $300 million into the pockets of 750,000 nonprofit organizations. Your boss thinks you can sustain it and wants to build a budget with it included. You have no idea if it will be around tomorrow. Event fundraisers want to know why the heck their thermometer isn’t rising when they are collecting all this money on Facebook! They call your office. You reallocate. Rinse and repeat. A lot. Customer service dollars skyrocket. Your donors from Facebook think you are uncaring; you didn’t say thank you nor did you follow-up in any way. And you never will, because they are invisible to you. Let’s get the playing field built out. First, there are a few kinds of Facebook fundraisers (FBFs). There are birthday FBFs, which is the majority of what’s happening, around 85 percent of all Facebook fundraising. There are a few non-birthday FBFs. A few. Then, for any nonprofit with a TeamRaiser/Facebook integration, there are 15 percent coming through the Blackbaud TeamRaiser application; which is great—but doesn’t help you with the 85 percent. 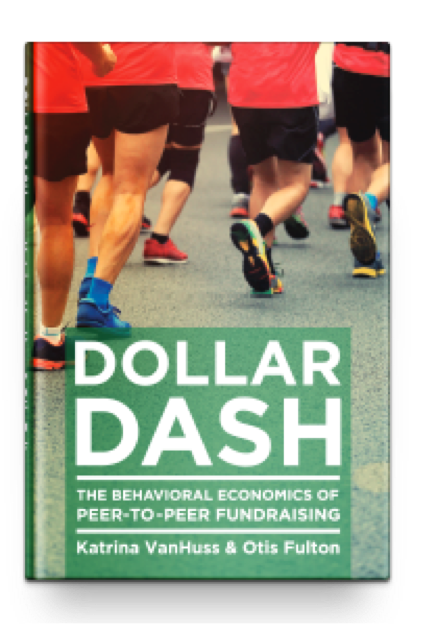 The 85 percent are important because studies have shown they are typically new fundraisers. They went out there and acquired themselves, when acquiring fundraisers is so darned hard! They did something spontaneously that we work hard to get them to do. Why? It was frictionless, easy, a low lift. The opportunity to do good lived where they already were—on Facebook. Forget the money for a moment. Here is what is more important… they showed all their friends they are supporting you. If you can get to them close to the time when they do that, their own internal pressure will get them to say yes to your next, appropriately incremental, ask for action. And that is the biggest opportunity around Facebook fundraising. It gets people to align with you, publicly. So again—and we know it may be difficult—forget about the money you get from Facebook. That’s just short-term thinking. What it’s really all about is the lifetime value of the fundraiser after you acquire their contact information. The lifetime value of Facebook fundraising adoption alone is $694 per fundraiser, according to Blackbaud. But what is the lifetime value of a constituent in your organization? That is the number we care about, if only we could find out who these people are, so we can communicate with them. Who is in charge anyway? It’s peer-to-peer, but the digital team owns Facebook. Whose budget does the revenue go in? Who gets the collected data? Whose budget does the spend come out of? For “cannibalized” peer-to-peer event monies, (people who thought they were fundraising for an event) who pays for the significant customer service to re-allocate funds? Shouldn’t the walk manager have directed the walkers to the right place anyway? Doesn’t that mean the digital team gets the revenue? So, finally, Facebook—bring it on. You are helping people connect with nonprofits that are saving the world. We will meet you where you are. Let’s get out and play together.